Filter by Category (1st column): Select a category of reviews to be displayed in first column. Number of posts (1st column): The number of displayed reviews in first column. Filter by Category (2nd column): Select a category of reviews to be displayed in second column. 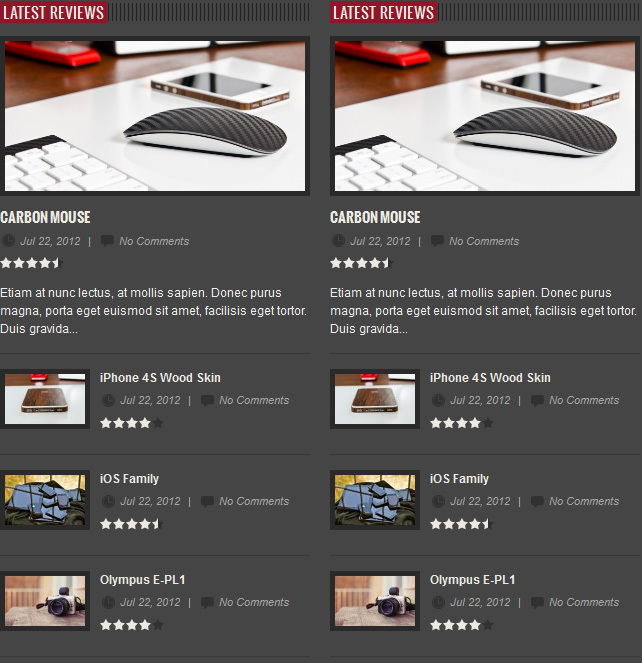 Number of posts (2nd column): The number of displayed reviews in second column.